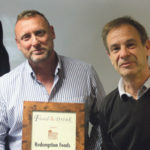 Food and Drink Matters is extremely pleased to congratulate Redemption Food on being awarded with the Soup Producers Company of the Year award for their outstanding food service. Grow your soup sales with a bowlful of soul! 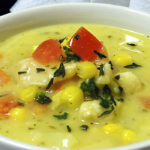 Food and Drink Matters is incredibly proud to present Redemption Foods as its selected Soup Producers Company of their Month for their delicious, home-made style soups which come in a wide variety of flavours.